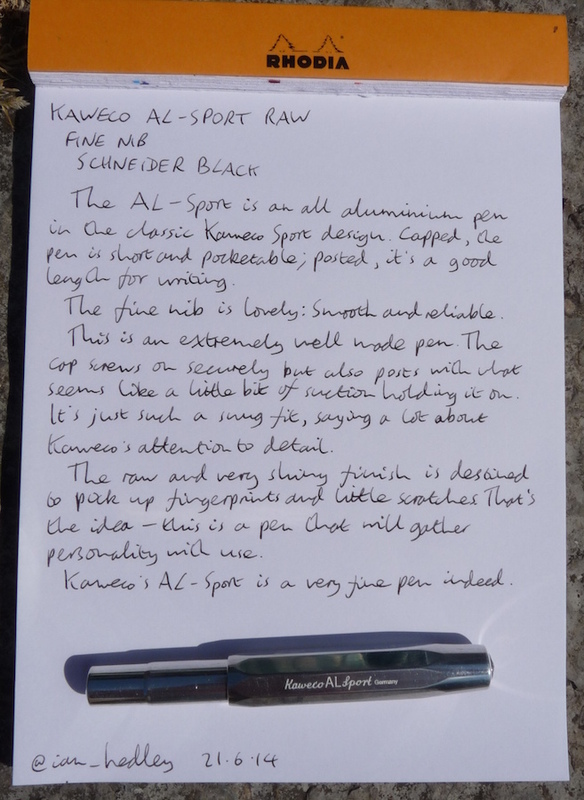 Kaweco AL Sport Fountain Pen Review – Pens! Paper! Pencils! 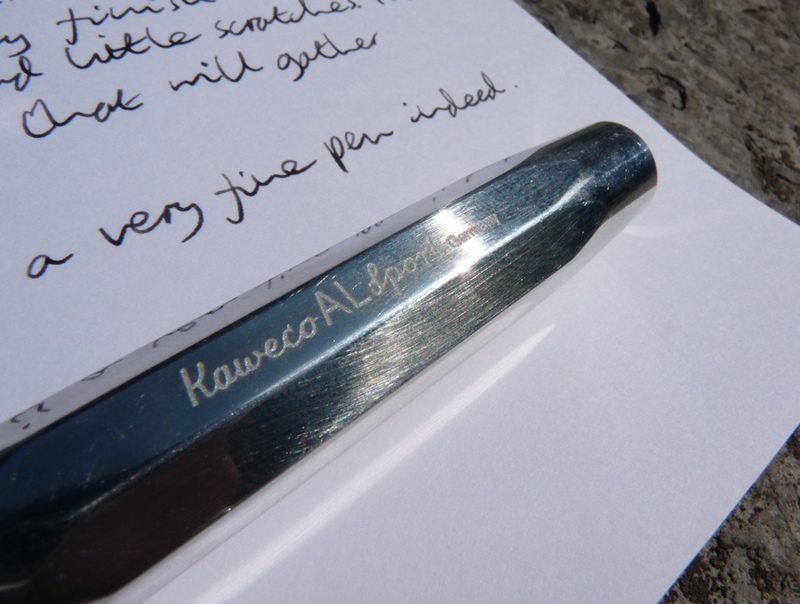 This Kaweco AL Sport is an aluminium fountain pen, available with nibs from EF to BB. This particular one has a fine nib. It costs about £60 in the UK and $75 in the USA. A clip is available as an extra. 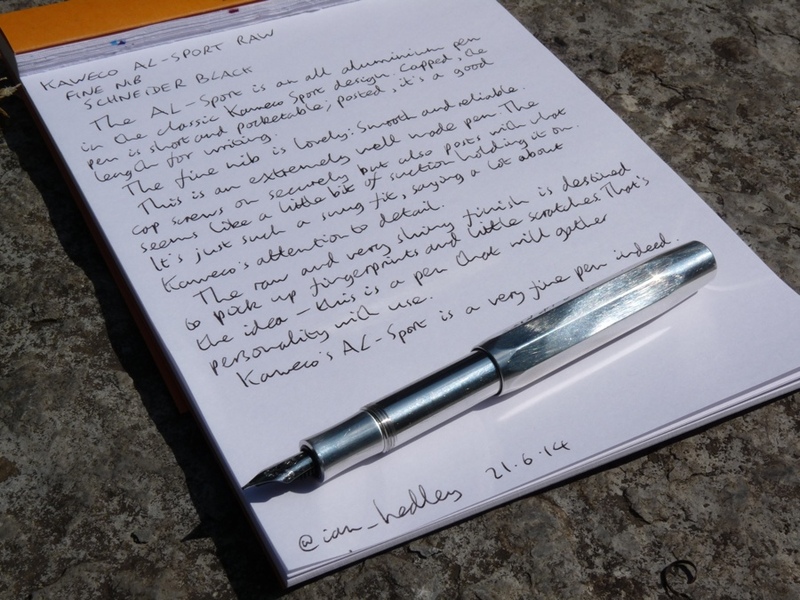 Kaweco loaned me this example for review purposes. 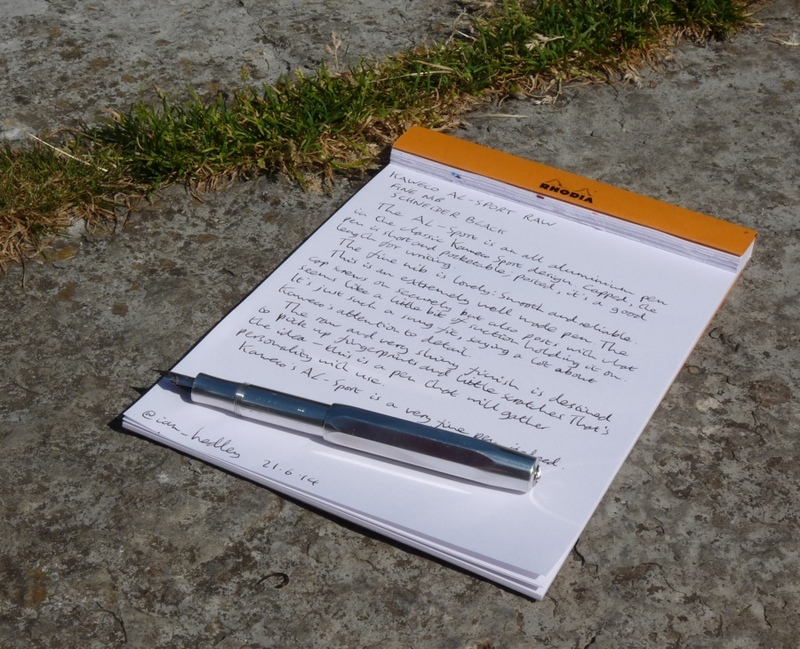 The Kaweco Sport is a classic fountain pen. When capped it’s short enough to keep comfortably in a pocket but when posted it’s a good length even for my big hands. It’s really designed to use posted but I won’t judge if you prefer not to. Short international cartridges will fit but converters won’t. 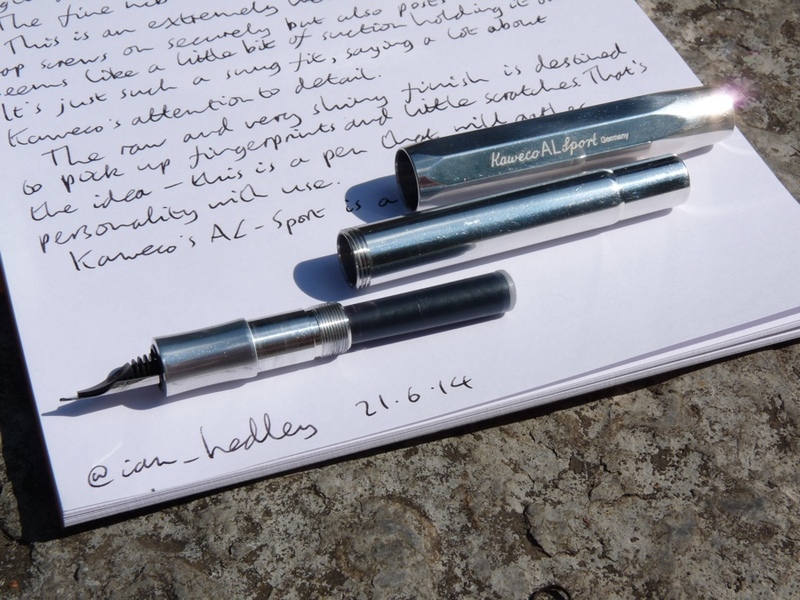 Kaweco make a short converter specially designed for the Sport range but it’s terrible. I refill cartridges with a syringe. 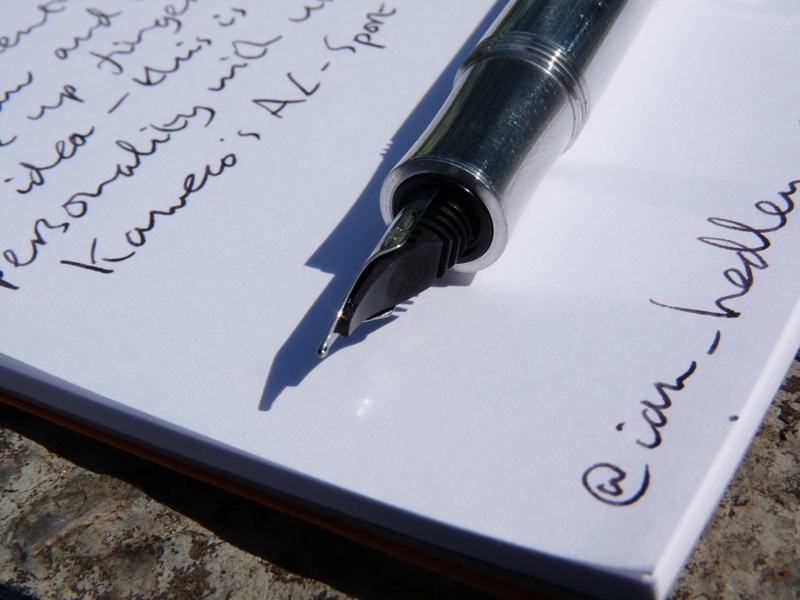 The Sport is probably responsible for more fountain pen fans buying a syringe than any other pen. And, to be honest, once you accept that filling your pen with a syringe is perfectly okay, you are lost to normal people but … welcome to our wonderful pen community. Kaweco nibs have a wonderful reputation if they are extra fine or fine and this one is no exception. It’s smooth and wet and lovely. (Another sentence best not taken out of context.) The broader nibs sometimes have some issues, so I’d suggest that if you want a medium or fatter nib then stick to a reputable vendor that will either check it before sending it out or be prepared to arrange a swap. I’ve only had a problem with one nib (a broad one) and I’ve tried nine, so don’t worry too much, but I’ve seen many people online who’ve had issues. It’s a shame that Kaweco aren’t able to work this one out. The AL Sport is definite step above the plastic Classic Sport. 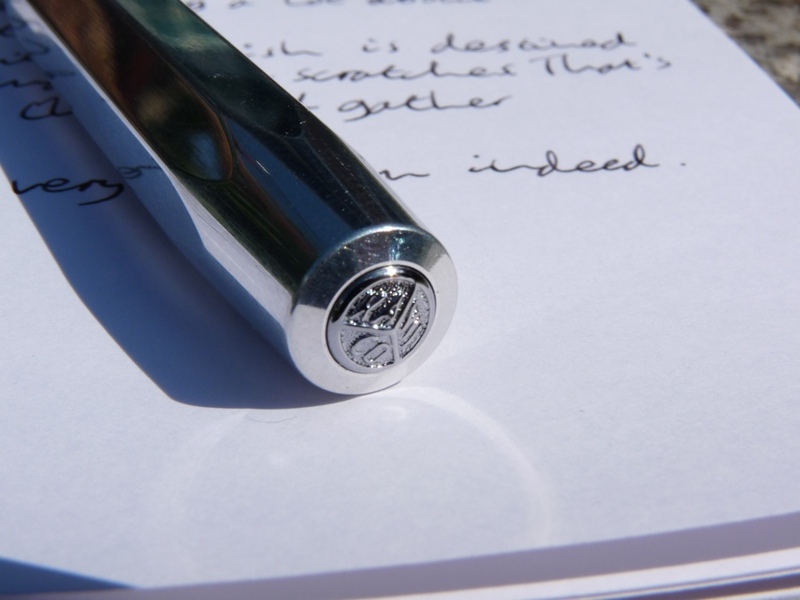 The weight and finish make the pen feel like the quality instrument that it is. It’s on a par with the more expensive carbon fibre AC Sport and that is no bad thing. The engineering is excellent and it all fits together beautifully. No wiggles or wobbles here. The finish of this particular version is raw aluminium. It looks great. It will get dinged up, just as the brass Liliput does. If you like your pens to maintain a kind of virginal purity then you will spend all your time with this pen in constant fear. I suggest you buy a coloured AL Sport or an AC Sport instead. Kaweco sent me this pen to review and I chose not to buy it. I love how brass ages but didn’t feel the same way about this shiny aluminium. The scratches it picked up were too jarring for my tastes, though I know there are plenty of people that love it. I also already have the AC Sport, Classic Sport and Liliput and while already having lots of pens already is never a reason not to have even more pens, this was a step too far with a finite budget. You can find some more reviews of the AL Sport on Pennaquod. Thanks for this very useful review of what looks like a lovely pen. It is very well researched and written. 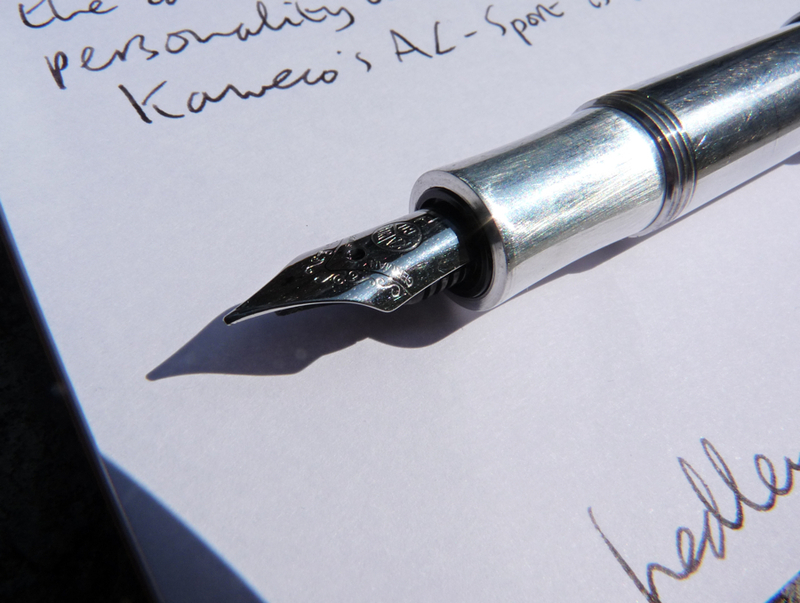 I have an Ice Sport, and completely agree with your point about the broader Kaweco nibs, in that all of the ones I have tried have been a disappointment, which is a shame as I really like the design of the pens. it is best to stick to the extra-fine and fine, which I have found to be excellent.